Challenges come in many forms. In Malaysia, a heavy task was bestowed upon the emergency medical and trauma services (EMTS) to organize the medical coverage for the 29th South East Asian Games and the 9th ASEAN Para Games last September. Gallantly, we completed the task and received numerous compliments. 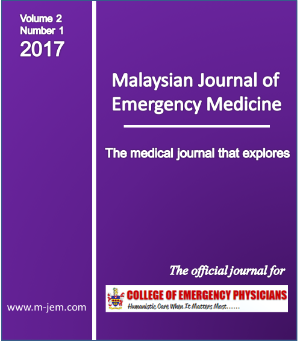 Kudos to the EMTS teams from all over Malaysia. On the other side of the globe, the emergency medical services (EMS) in the United States responded quickly and swiftly to care for those injured in the Las Vegas mass shooting at a music festival. Our prayers go to those who have passed and to their families. Both incidents involved a properly planned mass gathering emergency medical coverage. Careful multiagency collaborations and networking are needed to ensure the safety of both the spectators, participants and the emergency health care providers. The ever-changing safety requirements and unexpected methods employed by the terrorists require resilient and innovative physicians to ensure that we are one step ahead if any issue arises. Numerous contingency plans and simulations have to be thought of and conducted so as to prepare the teams for any unexpected events. Although with all the above preparations, we cannot underestimate the courage and mental endurance of these physicians. Hence, mass gathering medical coverage is in itself a “subspecialty” of its own. More training, research and development are needed to ensure a safe medical coverage. THE PREVALENCE OF INJURIES AMONG PARTICIPANTS DURING THE 16TH NATIONAL SILAT CHAMPIONSHIPS 2012.